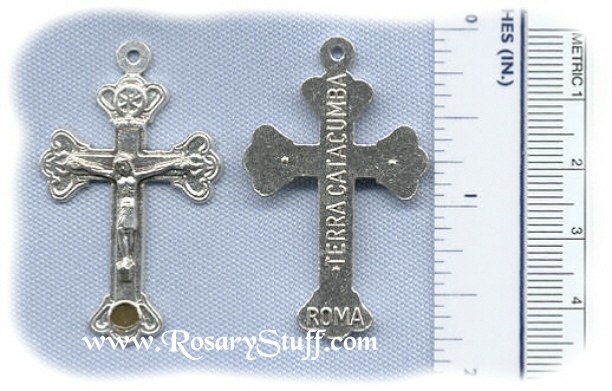 Italian oxidized silver plate Relic Catacumba with earth from the Catacombs in Rome. Sized at 1 3/4 inch tall (including ring) and 1 inch wide. Pope Francis Offical Antonio Vedele Cross ~SP~ 2 in.